Tee Land, a property developer is set to acquire Ley Choon Group Holdings’ real estate subsidiary. This is corresponding to Ley Choon debt restructuring plan, which it is embarking with its lenders. Ley Choon Holdings revealed in its SGX filing that Ley Choon Constructions and Engineering Ltd, its subsidiary, and Tee Land, were in a conditional SPA (Sale and Purchase Agreement) for the sale of Ley Choon Development Pte Ltd (LCDPL) total issued and paid up capital. While its business is mainly in building construction and real estate development , LCDPL has the ownership of a 12,930 square feet land located in Singapore, 241 Pasir Panjang. Tee Land has already agreed to acquire more than 8.7m shares of LCDPL for S$11.5m. According to Ley Choon, the acquisition price was arrived at based on willing buyer basis. The actual acquisition is scheduled to happen by end of November. Ley Choon Group is expecting to receive about S$9.93m net proceeds from the sale. It intends to use the amount to repay the loans under the debt –restructuring program. Tee Land, a subsidiary of TEE International, is a property developer for residential, industrial and commercial projects with a presence in Singapore, Australia, Malaysia and Thailand. Its projects target consumers with middle to high income. Tee Land has many projects to its name including Palacio, 183 Longhaus, 91 Marshall, Hilbre 28, Aura 83 and the Rezi 3Two in Singapore. There is also Chewathai Ratchaprarop and The Surawong in Thailand as well as other properties in Vietnam and Malaysia. 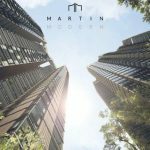 91 Marshall is a freehold project located in Katong. It has 5 storeys with 30 units and well-connected to the city by major expressways. AURA 83 is located on 83 Duku Road, close to various amenities. Its notable feature is the 6m ceiling for dining and living areas in the three bedroom units. Another upcoming project by the developer is the 31 & 31A Harvey Avenue development. More upcoming launches can be found at Clement Canopy at Clementi, Queens Peak at Dundee and Park Place Residences at Paya Lebar.